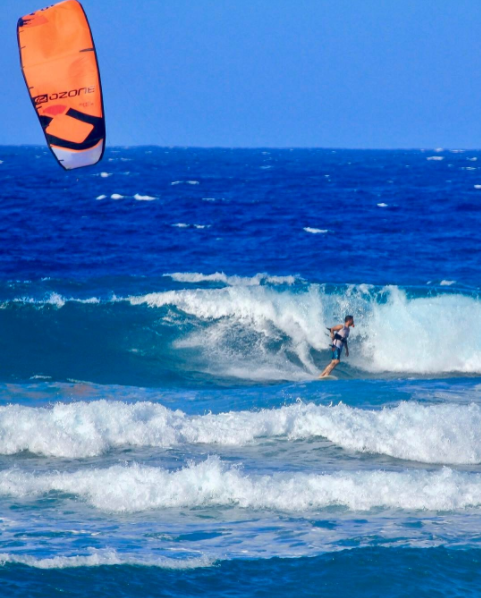 Let’s Get You Geared Up for Kiteboarding! Once you’ve become a confident, independent kiter, it’s time to buy some equipment. 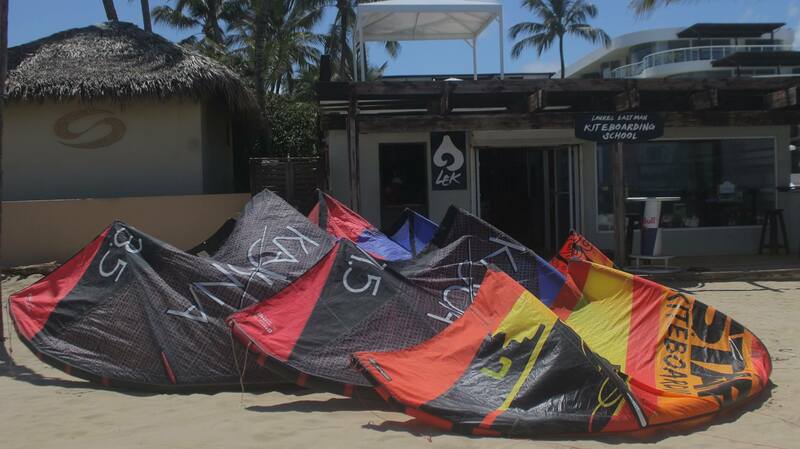 Navigating the choices can be confusing and stressful, but our friendly and knowledgeable LEK team is here to make things easier for you when you’re ready to buy your kite gear. 1. Your kite experience – as a beginner you may choose used, knowing you’ll be harder on the kite in the beginning, crashing it more often. You’ll be giving your kite a bit of a beating while you’re perfecting your kiteboarding skills and refining your tastes as you improve your riding level. 2. Your budget – used gear will save you money in the initial investment, however, you may spend more later to upgrade your kite. Our best advice: if you can afford it – go new straight away. 3. Which piece of kiteboarding gear we’re talking about– some gear might be worth buying new, like the most comfortable harness you can find. Other things, like a twintip kiteboard for example, are totally fine to buy used. At our school and rental center, all the used kite gear in our arsenal is always for sale. We have fair pricing and a variety of kite styles to suit beginners to advanced kiteboarders. You can buy gear from our friendly team while you’re in Cabarete. Start by talking to your instructor if you’re taking lessons, or ask one of the shop attendants, or Maxine our manager. We love connecting the right gear to the right person! Back at home and dreaming of your next kite adventure? You can still tap into your friends here at LEK to help get great deals on our used gear. Start your used kiteboarding equipment search by emailing our amazing Maxine to find out what’s currently available in the used gear inventory. If you find the right product we’ll figure out the best way to ship it to you. It’s not as quick as buying from Ebay. However, you’ll be working directly with our team, and if you’re our student or in our kiteboarding tribe already then you are familiar with the LEK spirit of service and our extremely high ethical standards. Our team will make sure you get the right product for your current level and goals. We only sell kiteboarding gear in good condition, and at a fair price. Nothing feels like flying a brand new kite, or upgrading your board for a high-performance model. If you’ve got the budget this is the way to go! Order from LEK and we’ll make sure you’re choosing the right brand and model and have it shipped directly to your home or office. All past LEK guests qualify for the “LEK Alumni New Gear Discount” – we will save you money while you treat yourself to a crispy new kite or shiny new board. Please send us a message if you’d like more information. We’re here to make the confusing mission of deciding which gear to buy less painful. We’ll always be at your service and ready to help. LEK has your best interest in mind. We don’t stock large quantities of gear which can sometimes force the wrong gear on a kiter. Between our carefully selected school and rental gear, and our access to drop-shipping from our partner brands, we have the ability to professionally recommend the right equipment for your level, riding locations, and kiteboarding goals. Our brand partners are industry leaders. That guarantees product quality and excellent customer service. Choose from Ozone Kites, Core Kiteboarding, AXIS Kiteboarding, AXON Kiteboarding Mystic Kiteboarding and Ride Engine – we love these brands. We ride this amazing gear all year long. We’d love to hook you up so you can be out there too! Before you know it, you’ll be having way too much fun on the water or snow. Thank You for giving us the opportunity to further serve you in your kiteboarding progression and adventures! 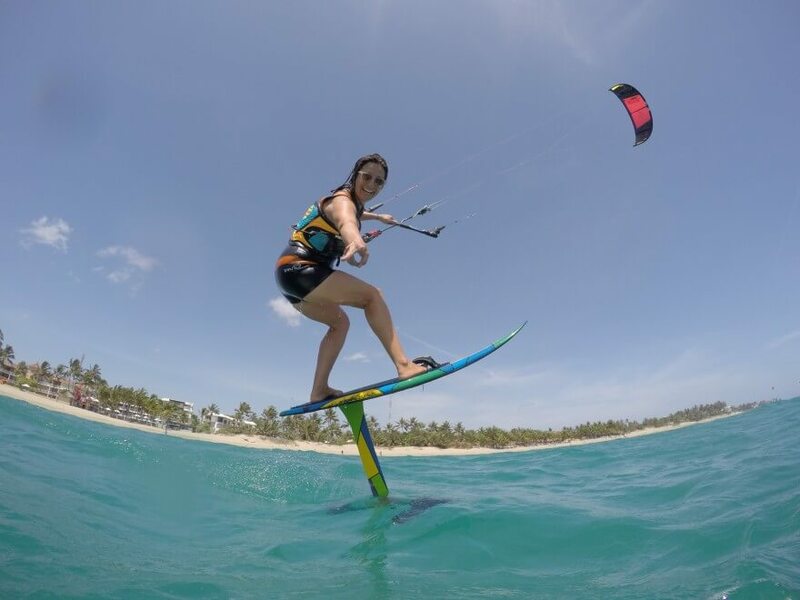 Get geared up and come kiteboard with Laurel!